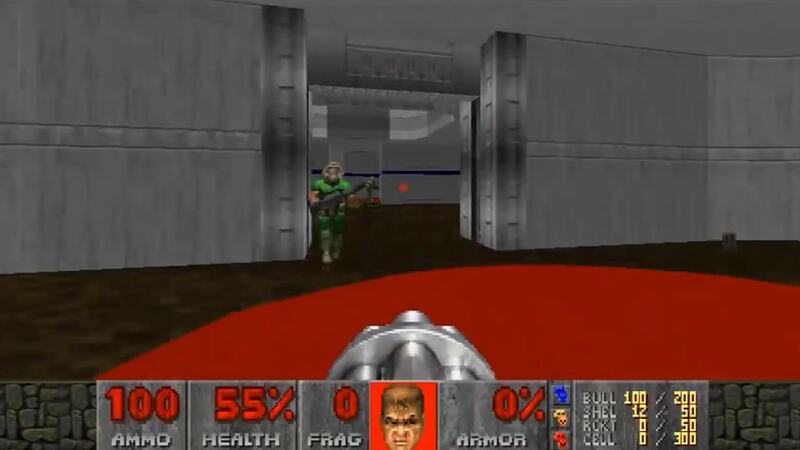 News › Stories › Archives › 2016 › September › Computer Out-Plays Humans in "Doom"
An artificial intelligence agent developed by two Carnegie Mellon University computer science students has proven to be the ultimate survivor in the classic video game Doom — outplaying both the game's built-in AI agents and human players. The students, Devendra Chaplot and Guillaume Lample, used deep-learning techniques to train the AI agent to negotiate the game's 3-D environment, which is still challenging after more than two decades because players must act based only on the portion of the game visible on the screen. Their work follows the groundbreaking work of Google's DeepMind, which used deep-learning methods to master two-dimensional Atari 2600 videogames, and earlier this year defeated a world-class professional player in the board game Go. In contrast to the limited information provided in Doom, both Atari and Go give players a view of the entire playing field. “The fact that their bot could actually compete with average human beings is impressive,” said Ruslan Salakhutdinov, an associate professor of machine learning who was not involved in the student project. Simply navigating a 3-D world, much less competing successfully in this game environment, is a challenge for such AI agents, he noted. "We didn't train anything to kill humans," emphasized Chaplot, a master's degree student in the School of Computer Science's Language Technologies Institute. "We just trained it to play a game." Moreover, the deep reinforcement learning techniques they used to teach their AI agent to play a virtual game might someday help self-driving cars operate safely on real-world streets and train robots to do a wide variety of tasks to help people, he noted. Chaplot said humans have natural advantages in chasing and dodging enemies in Doom's 3-D world. The game's own built-in agents have to cheat, accessing maps and other game information, to be competitive. He and Lample, who recently finished his master's degree in the LTI, trained their AI agent, Arnold, to play the game based only on what is visible on the screen, just like human players. Not only is Arnold fast and an accurate shot, but it has also learned to dodge shots, making it hard to eliminate.